Immune checkpoint inhibitors expand cancer treatment options, but not without a risk of fatal events. The multicenter research team analyzed patient outcomes from the World Health Organization Vigilyze database, patient data from 7 research institutes in 3 countries, and reports from a PubMed search of 112 studies conducted from 2003 to 2018. The study included immune-related adverse events described from published reports of anti-cytotoxic T lymphocyte antigen-4 (CTLA-4) and antiprogrammed death-1/ligand-1 (anti-PD-1/PD-L1) treatments. 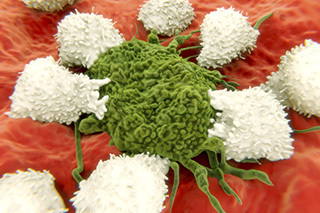 It also included queries of the drugs ipilimumab, nivolumab, pembrolizumab, durvalumab, atezolizumab, avelumab, and tremelimumab. The researchers reported that toxicity from ICIs was associated with fatal outcomes for 0.3% to 1.3% of patients treated with them. From Vigilyze, the researchers found 613 fatal events, with 333 of these patients on an anti-PD-1/PD-L1 treatment and 87 taking combinations of this drug class with an anti-CTLA-4 treatment. Another 193 patients with treatment-related fatalities were treated with ipilimumab monotherapy, with colitis being the most common fatal adverse event (70%; P<.001). With anti-PD-1/PD-L1 therapy, pneumonitis was the most common fatal adverse event (35%; P<.001), but this type of treatment showed a broader range of common fatal outcomes. Myocarditis generally was the most dangerous adverse event (39.7% fatality rate), while colitis was fatal 5% of the time. The median lengths of time to fatality were 40 days for monotherapies and 14.5 days for combination therapies. Overall, fatal adverse events from ICIs seemed rare, but their occurrences appeared fairly early in treatment courses.